Think you need new brakes? One of the most important things our mechanics at our Malden, MA brake shop have learned is not to forget about maintenance and repair of your brakes! Your cars brake system is very important to driving safely. If you need maintenance or repair to your cars brake system our mechanics will work hard so your cars brake job is done correctly and quickly so you feel safe getting back on the road safely. Squealing or squeaking? Your brakes talking! If your car makes squealing, squeaking or grinding sounds when you apply the brakes to slow down or stop usually indicates a problem with your brakes. It’s best to listen to what your vehicle is telling you! Time for brake work! 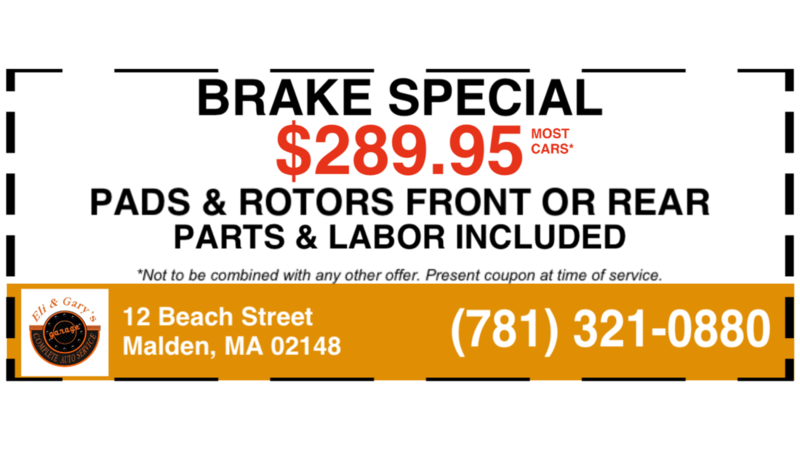 Stop by our Malden, MA brake shop so we can diagnose the problem. 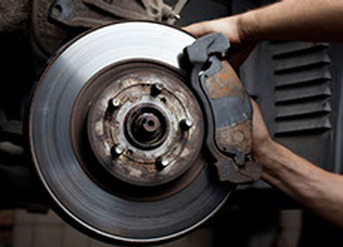 Any part of your brake system may need service from brake pads to brake calipers to brake rotors or even a brake line. Whatever it might be, you can rest assure our brake technicians will thoroughly diagnose the problem. Once we diagnose the problem our mechanics will advise you on a course of action and get your brake system serviced to quickly get your vehicle on the road again. Preventative maintenance for your brakes is important when it comes to safely driving your vehicle. Here at Eli & Gary’s Automotive Service station in Malden, MA our mechanics provide inspections for brake systems, brake repair and maintenance services to keep your car, SUV, van or truck driving safely so you can be worry-free while driving on the roads. Call Eli & Gary's for Brake Service today!